Cicli Fiorelli was founded by three brothers in 1932 in Novi Ligure (Liguria, Italy) and they sponsored several teams and riders, which were very successful. 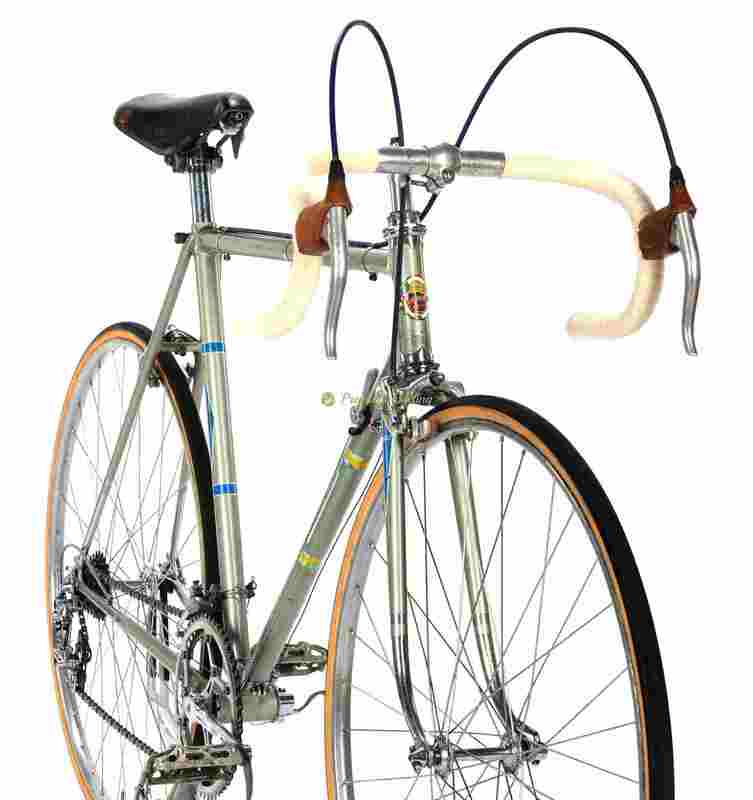 Many famous champions rode Fiorelli bikes: Schotte, Kubler, Koblet, Gaul, Motta and Ole Ritter who broke the world hour record on a Fiorelli frame in 1968. Fausto Coppi (Sep 15, 1919 – Jan 2nd, 1960), was a dominant Italian cyclist. His successes earned him the title Il Campionissimo, or champion of champions. He was an all-round racing cyclist: he excelled in both climbing and time trialing, and was also a great sprinter. He won the Giro d’Italia five times (1940, 1947, 1949, 1952, 1953), the Tour de France twice (1949 and 1952), and the World Championship in 1953. Other notable results include winning the Giro di Lombardia five times, the Milan–San Remo three times, as well as wins at Paris–Roubaix and La Flèche Wallonne and setting the hour record (45.798 km) in 1942. In the late 1950s, at the end of his carrer, Fausto Coppi wanted to produce his own racing bikes. He made a deal with Fiorelli for the manufacturing and named the bikes after himself. In 1959 (which was Coppi’s last racing season), Coppi was racing for Tricofilina Coppi Team. Their riders were racing on Fiorelli’s own designs bikes, apart from the finish and branding, which was named after Fausto Coppi. 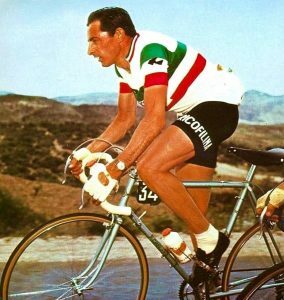 When Coppi passed away of malaria in 1960 the contract was still valid and the production of Fausto Coppi branded bicycles continued. Proudly presenting another jewel of the cycling history – FIORELLI Coppi Corsa – which dates back to 1958 and shinning in original condition. Basically it’s the same bike as Tricofilina riders and Fausto Coppi were racing with back in 1959. The steel frame is work of art, featuring the perfection and attention to details to providing the best performance. It has iconic Fiorelli fork crown and distincitve arrow seatstay with many special details spotted like Fiorelli crankset and F marked bolts. 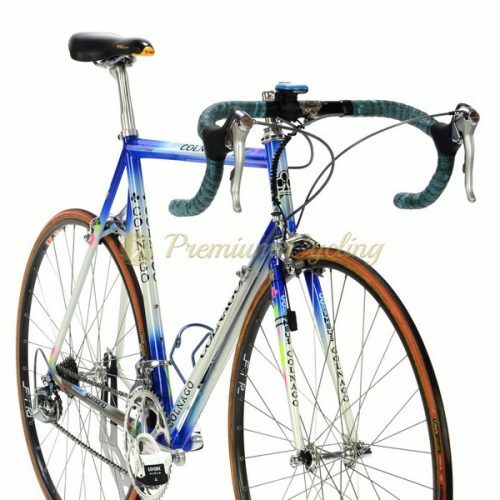 Of course it’s built with the top parts of the late 1950s era: Campagnolo Gran Sport gearing system, Universal brakes, Ambrosio Champion cockpit, Magistroni headset, Brooks saddle, Nisi rims… Almost impossile to find 60 years old racing bike in better condition. No much words needed. Condition: Used. The frame has no cracks, no dents and is not bend. Original codition. Some signs of normal use. Some touch-ups. All parts are working fine.